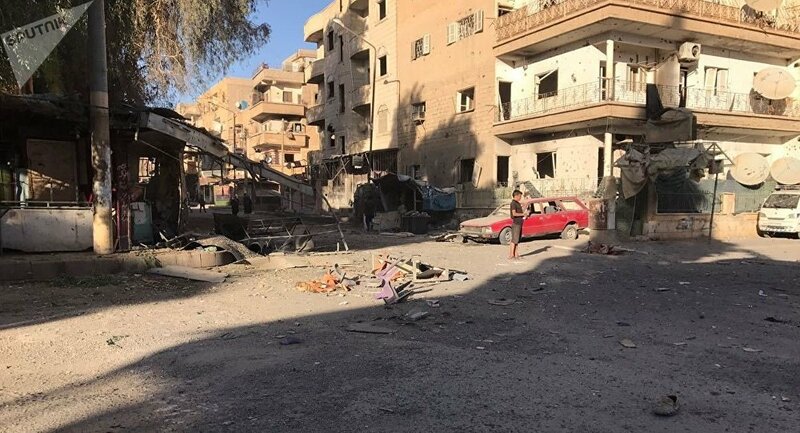 Earlier this week, the US-led coalition jets bombed targets in the town of Al-Shafa in Deir ez-Zor, while two days prior to the airstrike, the coalition performed another attack, which reportedly killed 5 civilians, including two children. At least 15 civilians were killed in a US-led coalition airstrike on the city of Hajin in Syria's Deir ez-Zor province, the state news agency Sana reported on Saturday citing sources. The majority among those killed are women and children, according to the Ikhbariya TV channel. Last month, Damascus accused the US-led coalition of violating international law and killing civilians in a letter to the United Nations, saying that Washington wasn't fighting terrorism in the country. The Syrian Foreign Ministry urged the United Nations to launch an investigation into a deadly airstrike carried out by the coalition in Deir ez-Zor, in which 62 people were killed and dozens injured.